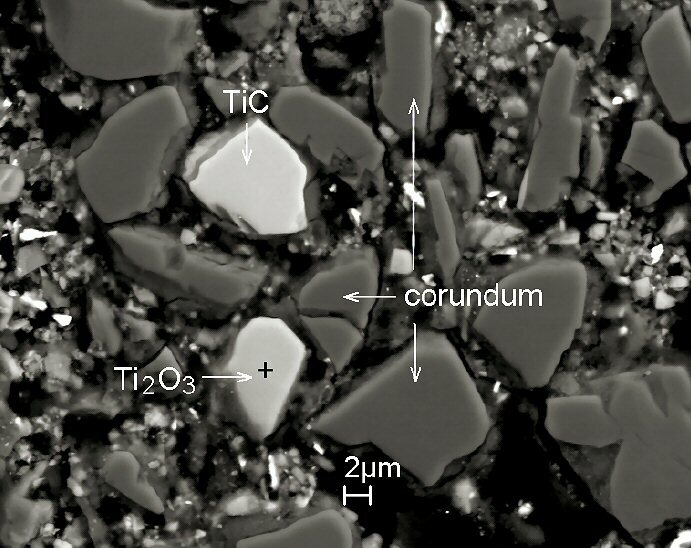 Comments: BSE image showing one tistarite (Ti2O3) grain along with khamrabaevite (TiC) and corundum. The cross marks where the electron back-scattered diffraction pattern (shown in Fig. 4) was collected. (AmMin, v94:841. Location: From inside a chondrule from the Allende meteorite.